Older Car? 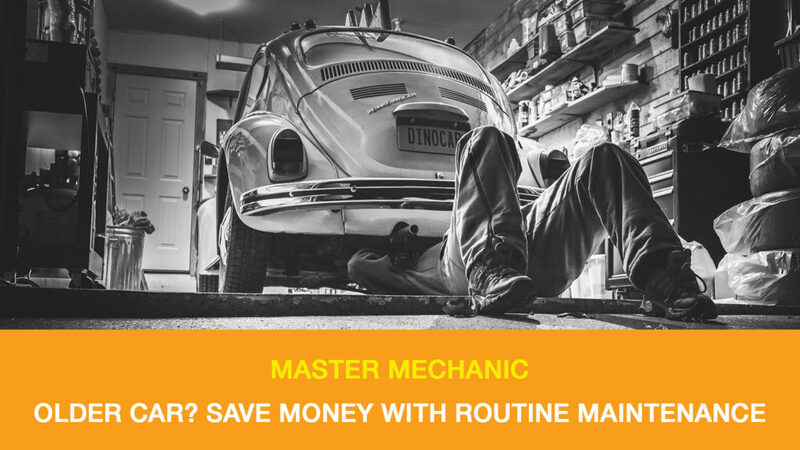 Save Money with Routine Maintenance. At Master Mechanic, we’ve seen repairs of all scale. Sometimes, people hold off on getting necessary repairs done because of the associated cost. Sure, you’re saving a bit upfront by holding off, however, delaying could end up costing you more. As cars age, it’s increasingly important to have them inspected and serviced on schedule to keep them running smoothly. In fact, it actually saves you money when you keep on top of routine maintenance. The last Outlook Study conducted by the Automotive Industries Association (AIA) of Canada in 2016, estimated that there were about 25.6 million light vehicles on the road in Canada. That was an increase of 4.4 percent from the 24.5 million cars previously recorded in 2014. We can only assume that the number is even higher today! It’s becoming more and more common for people to keep cars longer. When we look at the age of the average vehicle in Canada, some may be a little surprised to learn that it’s 9.6 years old. This is likely due to the fact that vehicle prices have risen and consumers need to lower their monthly payment in order to afford the payments. Some buyers even stretch their financing or lease term over six, seven or eight years. Financing and lease terms have risen because vehicles have become more reliable than their predecessors. Often times though, owners aren’t providing their vehicle with the adequate maintenance needed to keep them running efficiently and safely in their later years. Cars are complex machines. A small problem, when left unattended, can cause damage to other components and related systems, leading to more expensive repairs and potentially dangerous breakdowns. Taking a proactive approach to car maintenance will not only ensure you have reliable transportation, but it will also save you money and reduce the greenhouse gases it emits. So, in addition to saving on car payments, what benefits can you expect from a well-serviced older vehicle? With a well‐serviced vehicle, you can expect an increased fuel efficiency of up to ten percent, which will save you considerably at the pump. While you may want to upgrade to a more fuel-efficient vehicle the next time around, your current car should maintain its original manufacturer specs if properly serviced. If you’re keeping a car for over 6 years, you should naturally expect some repairs to pop up–but that doesn’t mean they have to cost you an arm and a leg. Simple things like having your oil changed regularly–or your tires rotated–can correct small problems that, if otherwise unattended, may likely lead to costly repairs down the road. If something malfunctions when you’re driving and causes an accident, it still counts as an at-fault accident. While performing regular vehicle maintenance may cost you a bit upfront, caring for your car means caring for the safety of yourself and other drivers. Routine maintenance keeps your car road-ready and helps you prevent accidents, which will typically raise your insurance premium and the monthly payments associated with it. For most people, a vehicle is their second largest investment. A vehicle that has been maintained in accordance with its manufacturers’ service guide, with accurate records, is much more likely to achieve the maximum resale value possible. This could be that little extra bit needed to upgrade on your next purchase or get an added feature you want. If your goal is to have your car as long as possible, then regular maintenance will help achieve this. Yes, it will cost you a few bucks here and there, but most repairs are significantly less than the cost of the down payment on a new car–especially if you take care of it right away. Your local Master Mechanic is happy to answer any questions you have about your car, and our knowledgeable technicians service all makes and models. Contact us today to book an appointment!